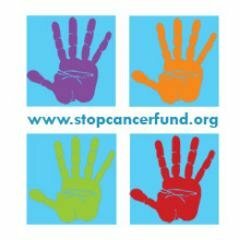 Helping people prevent cancer and saving lives everyday. We don't accept money from pharmaceutical companies so we help patients choose the most effective, affordable treatments based on unbiased research evidence. Every gift counts. The Cancer Prevention and Treatment Fund is a small charity that depends completely on individual donations for all its newest programs and to enable them to inform the public of breaking news on cancer prevention and treatment issues. With the help of these donations, the Fund is truly a voice you can trust that provides information you can use. The Cancer Prevention and Treatment Fund provides help for free to millions of people across the country. Nobody is turned away. Since it does not accept funding or support from companies that make the products that they study or recommend, you can count on them -- they are not selling you anything. That is why they rely on individuals for financial support. And, that is why your support, no matter what the size of your gift, is so important to them. If your life has been touched by cancer, you want to know how to prevent cancer, how to get the best treatment for yourself or someone you care about who has cancer, and how to reduce the chances of cancer coming back after being treated for it. The Cancer Prevention and Treatment Fund helps you cut through the confusion and conflicting information about mammograms, prostate cancer screening, the risk of getting cancer from chemicals in baby bottles or soda cans, the latest treatments and more. They understand how hard it is to know who or what to believe on these and many other important health and safety issues in your life. The Fund does not accept funding or support from companies that make medical products or treatments, so you can trust what they say about what works and what doesn't, and what is safe and what isn't. And, the Fund provides free help to you and the people you care about. If you have any questions or concerns about a cancer diagnosis or want to do whatever is possible to not develop cancer, contact their hotline. In 2012, a young woman asked for their help when she was diagnosed with breast cancer. She needed to decide whether to try an experimental treatment. She felt overwhelmed, wasn't sure what to do, and family members added to the confusion by giving advice based on their experiences with cancer, not acknowledging how her diagnosis was different. The Cancer Prevention and Treatment Fund hotline staff spent hours with her, helping her understand the risk of participating in an experimental treatment, and explaining to her in clear and simple language what was known and not known about the risks and benefits of different treatment options. "You've made such a difference in my life!" she told them, finally able to sleep at night because she felt comfortable with her decision. She is now doing well and keeping in touch. The Fund also exists to make sure that cancer treatments and drugs don't do more harm than good. Recently the Fund's scientists helped convince the Food and Drug Administration to get a dangerous cancer drug off the market, because it was killing more patients than it was saving. Their researchers pointed out that the drug was also causing strokes, causing some cancer patients to finish their lives paralyzed as well as suffering from cancer. The men and women working at the Cancer Prevention and Treatment Fund are proud of the help they provide to people who contact them, but they don't stop there. They scrutinize the research on cancer and translate it into easy-to-read articles that are available for free on their website whenever you need them. They write and distribute free booklets that help patients choose the best treatment for them. They train doctors and other health professionals to make sure they have the most up-to-date knowledge on cancer treatments. The Fund also works to change policies so that drug companies can't mislead you about the risks and benefits of their products and so insurance companies give patients a range of safe and effective choices for medical treatments. And they work to make sure policymakers are using tax dollars wisely to help real people in their daily lives. Providing Help You Need for Free. The hotline helps patients with breast cancer, prostate cancer, colon cancer, lung cancer, bladder cancer, ovarian cancer, uterine cancer, leukemia, and all other types of cancer. The hotline helps people learn how to lower their risk of getting cancer and how to choose the safest and most effective treatment. All you have to do for this free service is contact [email protected] or call the hotline at 202-223-4000. One woman told us "I can't thank you enough for helping me understand what my choices are -- and helping my family understand too." Stopping Cancer Before it Starts. When new research comes out that can help in the prevention of cancer, the news reports can be confusing or misleading -- and sometimes, the information isn¡'t reported at all! The Cancer Prevention and Treatment Fund was one of the first cancer charities to let patients and physicians know about research showing that losing a few pounds and getting enough sleep without the use of sleeping pills can reduce your chances of getting colon cancer, prostate cancer, breast cancer, uterine cancer, and other types of cancer. Making our Homes and Communities Safer. In our homes, neighborhoods, schools, doctors' offices, and airports, many of us are exposed to chemicals or radiation that increase our chances of developing cancer. The Cancer Prevention and Treatment Fund works with experts from across the country to limit that exposure and reduce cancer risks. For example, they convinced Congress to ban phthalates from children's toys and make sure all toys are tested for it. And thanks to their work, major companies like Campbell's Soup, Playtex, Similac, Enfamil, and Johnson & Johnson have voluntarily banned the chemical BPA from soup cans, baby bottles, and infant formula and promised to stop using phthalates in shampoos, creams, and many other personal care products. Helping Military Families. Cancer Prevention and Treatment Fund scientists are providing information to Congress about the risks of contaminated water at the military base at Camp Lejeune. They are also examining contamination and exposures that have increased cancer risks among members of the military and their families. Improving Medical Products. By explaining what is known and unknown about the safety of prescription drugs, diagnostic tests, and medical implants, testifying before the FDA and Congress, working with consumer and patient organizations, and talking to the media and government officials, the Cancer Prevention and Treatment Fund works to make sure cancer screening tests and treatments are safe and effective. They also educate reporters so that they will provide more accurate information to the public. The Cancer Prevention and Treatment Fund helps you to know the risks and benefits before you put something in your body. For example, they were years ahead of the TV news programs in telling women and their doctors that hormone replacement therapy could increase the chances of getting breast cancer and other serious diseases and that going off hormones could save lives. The Cancer Prevention and Treatment Fund's work provides unbiased, understandable information to anyone who needs it, including people like you, as well as to decision-makers in hospitals, government programs and policymakers, and companies across the country. The Fund's work helps individuals and their families make better decisions about their treatment options. It's work also improves the many cancer-related decisions made by doctors, hospitals, government programs and policymakers. That's how this small charity can be so effective in preventing cancer and improving treatments for as many adults and children as possible. Unlike most cancer charities, the Cancer Prevention and Treatment Fund doesn't focus on just one type of cancer--they help with all kinds of cancer. And they don't hold fancy events with movie stars to get media coverage or focus just on finding a cure some day in the future. They are there to help those who have cancer TODAY so that you and your loved ones can get the best possible treatment. Have you ever wondered what treatment is best for you or a loved one? The Cancer Prevention and Treatment Fund can help you. Their hotline receives calls and emails every day from men and women across the country who have specific health questions. In many cases, advertisements had convinced them to take medications that were not helping and were even harming them. Some were shopping for medical products online without a doctor's care, or told the Cancer Prevention and Treatment Fund that their health providers gave them no information about the risks of treatments they were considering. Whether you want to know if you should be screened for prostate cancer or how often to undergo a colonoscopy, or if a new treatment for cancer is really better than an older one, the Cancer Prevention and Treatment Fund gets you the information you need to help you make an informed choice. The Cancer Prevention and Treatment Fund saves lives every day with research, help and hope. The Cancer Prevention and Treatment Fund does not spend money on fancy fundraising events, outrageous salaries, TV or radio commercials, or luxurious offices. Their fundraising and overhead costs are extremely low--below 3% --compared to the national average of more than 20%. Some cancer charities spend 80% of their donations on CEO salaries, advertising and big races and celebrity events! They often call these expenses "raising awareness," but they are mainly raising awareness of their charity instead of helping to prevent or treat the disease! Beware of charities which list post office boxes instead of office addresses, or don't list their staff on their web sites -- because if there are no staff named and no office you can visit, there is no way to know if they are really accomplishing anything. The Cancer Prevention and Treatment Fund is audited annually by independent auditors who attest to the financial stability of the organization. A copy of this audit can be obtained from their offices at 1001 Connecticut Ave, NW, Suite #1100, Washington, DC 20036. The Fund's impressive Board of Directors and National Advisory Board ensure their effectiveness and financial stability. Its Board of Directors provide free financial, legal, marketing, communications, and strategy guidance as well as health and social policy expertise. Members of its national Advisory Board, including researchers, ethics experts, and nationally-respected policymakers, help the Fund improve their projects and programs.